The Hampton Inn Biloxi hotel is located in the heart of Biloxi Mississippi directly across from the Gulf of Mexico and its sandy beaches. This Hampton Inn hotel is less than one mile from casinos restaurants shopping and other great attractions. The Hampton Inn Biloxi features a 6 story 71-room beautifully decorated interior corridor hotel. We have beach view rooms whirlpool suites and connecting rooms are available upon request. 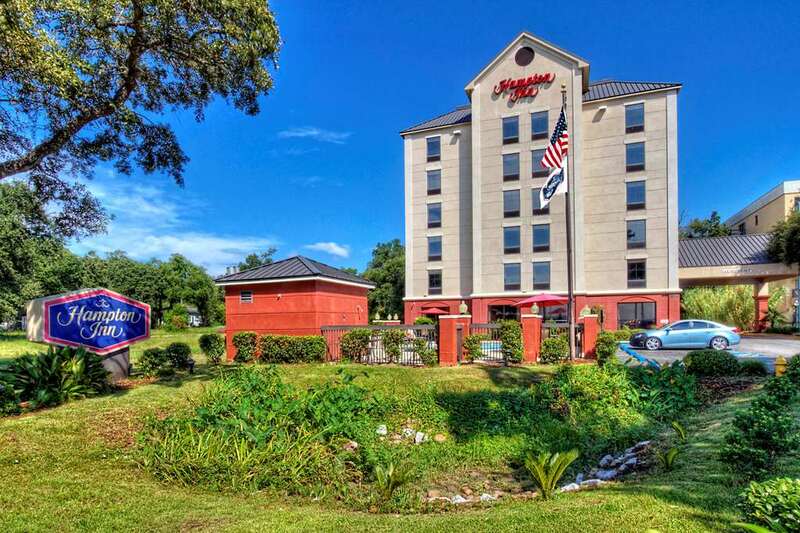 Whether traveling to the Mississippi area on business or pleasure our Hampton Inn guests enjoy amenities which include a complimentary hot breakfast bar a USA Today newspaper complimentary local calls and outdoor heated pool and whirlpool. All rooms include microwave/refrigerator iron and ironing board coffeemaker data port phones complimentary high-speed internet access 25 inch color TV with remote cable and HBO. We also have in-room movies and meeting facilities available for a nominal fee. We love having you here at the Hampton Inn Biloxi hotel in Mississippi.